My original plan was to close out the Once Upon a Time marathon with a look at my favorite fantasy films. The problem was figuring out the parameters for putting together the list. I decided the topic was just too broad to cover with a single Top 5. This marathon included both Legend and Krull, so it seemed fitting to focus on the genre's heyday during the 1980s. The final decisions weren't easy, but I believe this provides a good overview of some of the great fantasy films from that decade. Let's take a look at what made the cut! There were many contenders for the last two spots, with Willow and Krull just missing the cut. I decided to go with the hokey Labyrinth, which won't be the last Jim Henson project on this list. Including David Bowie as the villain, this movie is destined to have midnight showings for years to come. On the sentimental side, I still remember seeing The Neverending Story in the theaters as a kid. Its framing structure of having Bastian read about the events in a book is interesting and adds an emotional core to the story. Unlike most the other well-known '80s fantasy films, Conan is a brutal movie that depicts a vicious world of destruction. The title character is sold into slavery as a boy and raised to kill, which makes him the perfect guy to take down James Earl Jones' vicious warlord Thulsa Doom. This is one of Arnold Schwarzenegger's early performances and even comes before his breakout role in The Terminator. He's perfectly suited to play a guy who rarely speaks and isn't the brightest person on the planet. Director John Milius finds a way to keep the story for seeming too ridiculous, which is a impressive feat given the subject matter and star. One of the most remarkable achievements by Jim Henson and Frank Oz was this underrated fantasy. Given the technology of the time, their success is even more impressive. The story involves a quest to bring light back into a world that's slipping into darkness. There's no easy way to describe the diverse group of creatures that inhabit the planet created by Henson and Oz. 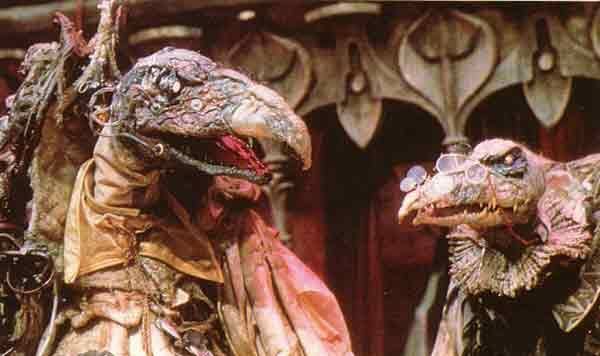 The Dark Crystal is definitely an underrated gem that deserves to find a larger audience 30 years after its original release. I didn't see John Boorman's intriguing retelling of the King Arthur story until I was an adult, but it still held up really well. There's an offbeat style to the entire production that places it firmly in the early 1980s. Alex Thomson's cinematography received a well-deserved Oscar nomination and is the star of the film. Gabriel Byrne, Patrick Stewart, and Liam Neeson all appear in secondary roles behind excellent lead performances by Nigel Terry, Helen Mirren, and Nicol Williamson. This is a great achievement that still holds up well today. We had a VHS copy of this classic tale of gods, monsters, and heroes that received a lot of play when I was a kid. 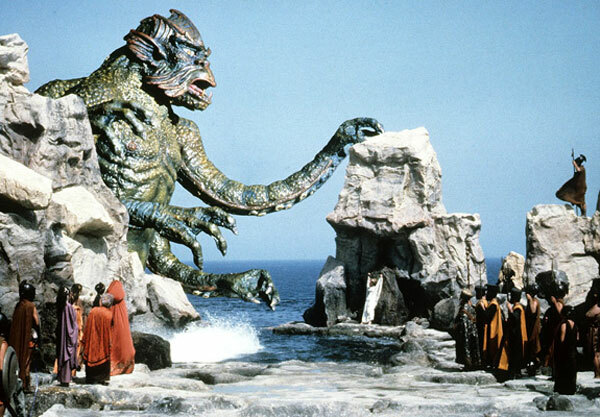 Ray Harryhausen's stop-motion effects are the true star of this movie, which includes the massive Kraken, the hideous Medusa, and the goofy owl Bubo. Laurence Olivier brings some class as Zeus to the silly movie, which stars Harry Hamlin as Perseus. He embarks on a quest to save the beautiful Andromeda from the wrath of the god Thetis (Maggie Smith). Some nasty monsters stand in his path, including giant scorpions that are no picnic. Sam Worthington can't hold a candle to this guy. Rob Reiner's wonderful romantic fantasy is the obvious pick, but its place at the top is well-deserved. Along with being an effective love story, the beloved movie includes plenty of humor. The trio of Wallace Shawn, Mandy Patinkin, and Andre the Giant are the highlight once you get beyond the main characters. Christopher Guest and Chris Sarandon ham it up as the villains, and the overall style never hits a wrong note. William Goldman wrote the screenplay from his own book, and his words translate perfectly to the screen. 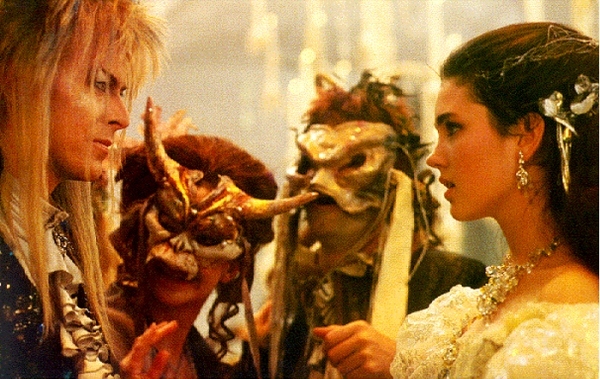 I think the Moolah just did Labyrinth on the big screen a week or two ago. Or maybe it's coming up. I'm not 100% sure, but I think it might be this weekend. I saw a sign for it when I saw The Hunger Games at the Moolah on Monday. When I was a kid The Neverending Story seemed so big, so epic, so grand. A couple years ago I started to watch it, and I was amazed at how small it felt now. Everything was obviously done on a soundstage. I wish I had just kept the memory. Dave, I haven't watched The Neverending Story recently, and I'm guessing it might be the same experience for me. I was a bit hesitant to add it to the list, but it connects so clearly with the '80s for me that it had to be in there. I should check it out again sometime, but I'm a little nervous it might not hold up. Y'know, when I was a kid I was quite obsessed w/ Conan The Destroyer, not sure why. Can't remember much about the 'Barbarian' one however. 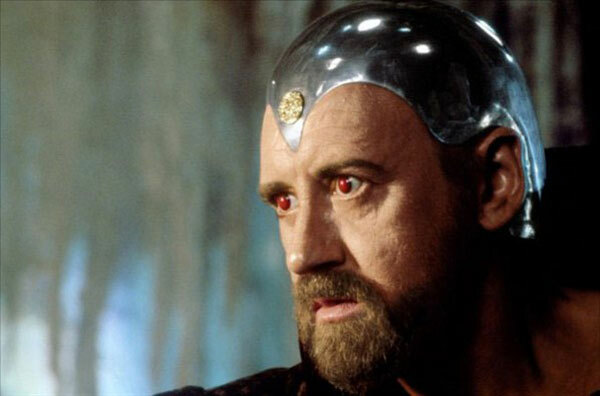 I just saw Excalibur recently as I like Byrne and Helen Mirren, that was quite an awesome film. Glad to see that on the list, and The Princess Bride, of course! 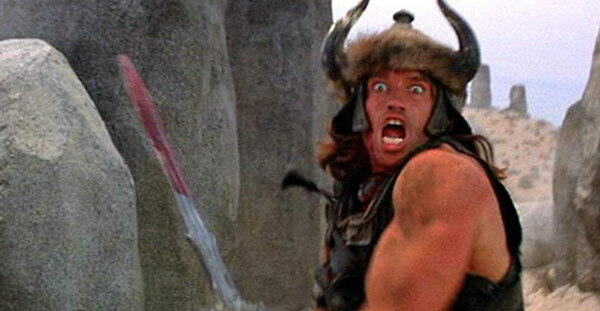 Conan the Destroyer is a lot of fun. It's a hokier, less violent sequel that includes both Wilt Chamberlain and Grace Jones. How can you go wrong? Glad to hear that you also like Excalibur. It's a bit of a forgotten gem, I think. Thanks Ruth! I'm unfamiliar with 2,3, and 5. Well I've heard of them I just don't think I've ever seen them. Do they hold up to a viewing today? Max, I think the answer is different for each one. Excalibur probably holds up the best because it has the strongest acting from a bunch of classically trained British actors. Clash of the Titans is cheesy and hokey, but also is a lot of fun. It has some great stop-motion animation. I haven't watched Conan that recently, so it's hard to say. I'm guessing it holds up better than the recent remake. 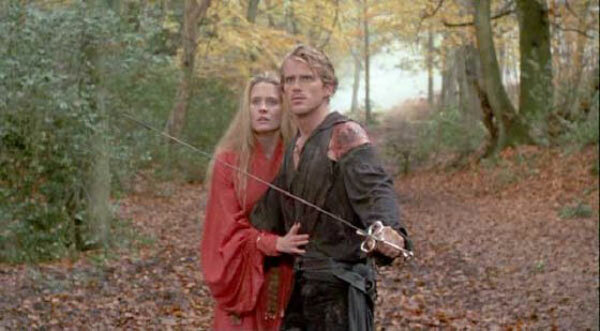 I haven't seen any of these other than The Princess Bride, but that one is a personal favorite of mine. It's one of those rare movies where you almost never hear of someone actively disliking it. So much fun. Eric, you make a good point about the appeal of the Princess Bride, which draws in both film fanatics and casual viewers and isn't just for fantasy lovers. When I put together this list, I wrote in The Princess at Bride at #1 right at the beginning and then thought of the rest. Thanks! Would you even suggest I watch the old Clash of the Titans if I haven't seen it by now? Aside from my hating Harry Hamlin, isn't it just gonna be laughably bad? Naturally, there's no choice other than Bride as #1. I pretty much though Labyrinth sucked. Saw it for the first time as an adult a few years back...though I also saw The Neverending Story for the first time not too long ago, either, and I thought it was a pretty good kids' movie (that horse scene was excruciating!). Still need to finish Conan. I'd recommend that you watch Clash of the Titans, but you have to be in the right mood. Yes, it's cheesy, but it's also fun too. The best part is the stop-motion effects, which are stunning when you consider what it took to create them. I could see you disliking it if you aren't in the right frame of mind, though. Yes, Excalibur does have more going for it than just a fantasy story. In terms of some of the others like The Neverending Story and The Dark Crystal, this list was tricky because I haven't seen them recently. I hope they still hold up, though I can't really say if that's actually the case.